Ginsberg was the most comfortable of the principal Beats. He was the closest thing the Beat Generation had to a spokesperson. He wholeheartedly embraced the Beats social and counter cultural legacy, unlike Burroughs or Kerouac. As a writer he shared a lot in common with Jack Kerouac. Compare Ginsberg performances of Howl with Kerouac reading pages from On The Road. They are similar texts: written to be performed. Whereas Kerouac shrank into self-consciousness (his stories were always roman a clef) Ginsberg remained proudly direct. Now there’s a question and a half! America is typical (except in one respect) of Ginsberg, especially early Ginsberg. He rarely obeys the ‘rules’. He writes open form poetry. Any respect shown toward metre or rhyme is contingent. What matters is direct communication of the mind onto paper or into the air: very Beat. There are two commonly cited influences on Ginsberg and the Beat poets. First come the romantic poets of the eighteenth and nineteenth centuries. 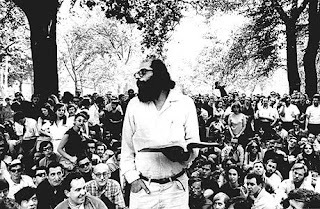 Ginsberg had is famous auditory hallucination reading Blake’s Ah, Sunflower and The Sick Rose, when a booming voice appeared, reading aloud over the rooftops in New York. It appeared to be a holy revelation. Ginsberg deduced it was Blake himself. Walt Whitman was an equally big influence on Ginsberg, a similar, egoistic free spirit (touchingly celebrated in A Supermarket in California). Apart from his frank male eroticism, Ginsberg chiefly took his notion of long breath lines, emphasising the performance value of poetry. The other influences (less cited) are the modernist and, in particular, the imagist poets, such as Ezra Pound, TS Eliot and William Carlos Williams. The idea is that poetry is heightened language creating strong images in the reader or listener’s mind (eyeball kicks perhaps?). Though common throughout his work, it’s perhaps more obvious in his short poems. An example (not quite short enough to quote) would be First Party at Ken Kesey’s with Hell’s Angels, which does exactly what it says on the tin. We have to get a measure of the geezer. We can draft an artistic summary, however, Ginsberg is a Beat. 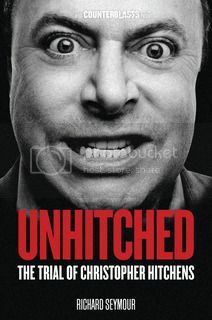 He is purposely autobiographical. Let’s dig and see what we can find. First thing to note, Ginsberg was born in 1926, in New Jersey to Louis and Naomi Ginsberg, two active socialists. Ginsberg was a red diaper baby. He had the kind of upbringing we all should have, affluent and nurturing without being insular. His mother was an active member of the CPUSA. She took Allen and his brother, Eugene, to meetings, which Ginsberg remembered fondly all his life. 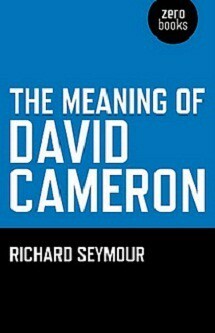 As he grew up he was encouraged to hold opinions, as a teenager he would write to newspapers about current affairs. At university he trained to become a labour lawyer. In between he found time to contribute to campus magazines and debating societies. The Beat family was first flung together at Columbia University. Ginsberg’s primal scene came via a friend of the family, a career criminal called Herbert Hunke (usually credited with minting the modern meaning of Beat). Hunke lived with Ginsberg for a while. Hunke was arrested and their home searched for stolen goods. Ginsberg was charged with being an accessory. Fearing prison he pleaded insanity and was committed. In hospital he met a man called Carl Solomon, to whom he eventually dedicated his breakthrough poem. By most accounts Solomon was a witty eccentric who had been driven mad by the hospital’s EST programme. Ginsberg was doubly sensitised to this environment by his upbringing. 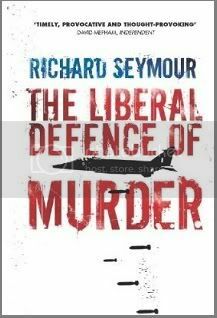 Growing up in a left-wing family: he was particularly attached to his mother who, by this time was succumbing to schizophrenia. A large part of his Beat perspective was formed here. The free individual up against the dehumanising system (Moloch the incomprehensible prison! ): unrestricted expression clashing with violent control. 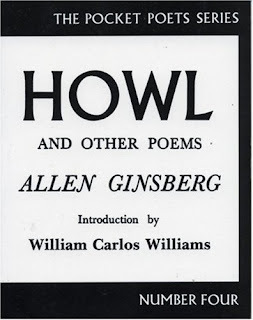 Six years later (1955) Ginsberg took this experience and turned it into Howl for Carl Solomon. The question is why did he express himself in the way he did? Before we get to the answer let’s go on a useful digression. The effect of mechanical reproduction on art. There is a short piece by Walter Benjamin on the effect of society and technology on art. The point he makes is, at the dawn of human civilisation, there is very little to separate art from religion or, to be more precise, the ritual of religion. As mechanical reproduction (and with it the commodity economy) rises, the nature of art changes as it becomes independent. In the beginning religion is an umbrella, a total system that embraces culture, law, philosophy and so forth. Its only as society develops the different branches grow and become self-sufficient (and develop their own systems). Because there is little in the way of industry there is no way of reproducing works of art. It is very difficult to disseminate culture to the people. Instead the people have to come to culture, hence the attachment to religious ritual. In Western Europe you have a breakthrough in the high mediaeval period. The introduction of printing created the possibility of mass literacy. In Britain, between the arrival of St Augustine and the rise of the printing press, literacy was closely connected with the church and the court. The fact that successful printing works could be established in towns across North Western Europe suggested there was a rising middle class readership: an early sign of the changes to come. The novel is, in many ways, the child of the printing press. It is the perfect bourgeois art form. The novel is easily turned into a commodity. It is designed for mass individual consumption. It is not a performing art. The high period of the English novel is usually put somewhere between the late eighteenth to nineteenth centuries. 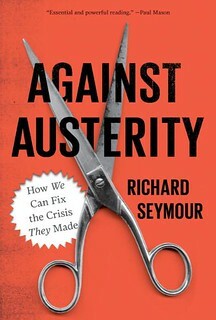 What were the common preoccupations of the literary canon of that time: the comedy of manners, the ethics of love and marriage, the crisis of legitimacy and so forth, themes uppermost in the minds of bourgeois readers grapping with new wealth and power. Where does this leave older forms of ‘literature’, specifically what we know as poems and plays? They are, pointing to the obvious, performing arts. To some extent they were the same thing to begin with. The epic poem has all the basic elements of what we’d call a script: plot, characters, action, dialogue etc. As late as Shakespeare you still see playwrights dropping in rhyme, alliteration, punning and scansion into their plays. The question is why? The answer is simple: memory. Performing arts have to be learned and reproduced. The epic poem was often used to pass on great stories and legends. They were the framework of oral tradition and folk history. The latest revolution in the creation and recreation of art is recorded image and sound. Performing arts are no longer evanescent and peripheral to culture. Popular musicians are no more wandering minstrels; they are rock stars (and interesting take on the secularisation of culture: rock stars are worshipped as walking deities, the rock pantheon works in a similar way to the Greek gods or the Christian saints). If the modern day Shakespeare died with no manuscripts to hand (unthinkable now) his actors would not rush to remember and write their lines for posterity. His work would be available on video or DVD. Ginsberg was a poet. Poetry is fundamentally a performing art. Poetry is also a form of literature. It has access to the printing press and, therefore, a ticket to posterity. The rise of recorded image and sound meant performing arts could have their day in the sun. Film (and then television) came to dominate over theatre, the record over the live performance. Literature and, in particular, poetry had to respond. The dominant trend in poetry when Ginsberg began to write had been set by the modernists, in particular TS Eliot and his landmark poem The Wasteland. The Wasteland is noticeably disjointed, multifocal (and multilingual). The Wasteland is, of course, the city. Eliot was getting to grips with, what he regarded as, a confused but striking environment. His poetry reflected that. These aren’t sentences for you to read. These words should be performed. What’s more they can be improvised on. Take the second line quoted: “who sank all night in the submarine light of Bickford’s floated out and sat…” There should be a comma between Bickford’s and floated, creating a parenthesis. There isn’t. You can choose to add the parenthesis or not (and in the process make a strange noise). The lines given are breath lines. You are supposed to pronounce each line in full before breathing again. Ginsberg is declaring the influence of contemporary jazz. Beat writing, especially the New York Beat, is saturated with jazz references. Kerouac may have written about jazz artists (Burroughs was more interested in film: image and sound), Ginsberg wrote like them. The jazz that the Beats particularly loved was called be-bop. Compared to earlier big band swing music, be-bop was pared down. Musicians playing be-bop would perform in quartets or even trios. The body of the music would be a supporting platform for a soloist, who would improvise, often on a popular tune or classical air. The three-chord format handed down from folk and the blues was dramatically expanded by be-bop. The Beats, with their take of free-expression and creativity, were drawn to jazz music. The friendship and alliance between mostly black musicians and mostly white authors and poets was an early sign of the civil rights movement of the fifties and sixties (remember, these formative experiences were mostly from the forties). Ginsberg was by far the most musical of the principal Beats. He went on to record and tour with numerous musicians. His recitals in the sixties were musical (if unusual) affairs. Let’s not forget his subjective, long-winded and graphic poetry set the tone for modern pop and rock lyrics. Getting back to the poetry, Ginsberg rejected closed form poetry with deliberate rhyme and metre. He also steered away from the modernist technique of objective distance. He was pointed firmly toward common speech and thought. Within that seemingly limited framework he was able to use numerous poetic devices, alliteration, repetition, metaphor, juxtaposition and so forth. These are common devices, especially used in public life. Examples JFK (we choose to go to the moon) or MLK (I have a dream), contemporary speakers, used such techniques to move people. In a way that’s not so different from what Ginsberg tried to do, with his poetry and in his life in general. Ginsberg’s social and political perspective combined with his spiritual pursuit to give his poetry the quality of jeremiad. By this I mean the prophetical warning, the seer burning with desire to bring the truth to the people before it’s too late. The original Beats called their perspective the “New Vision”, shades of WB Yeats and Oswald Spengler. After his encounter with the spirit of Blake (and before his encounter with LSD) he realised the innate, interconnected one-ness of the universe. 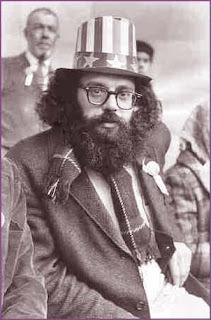 Ginsberg in time was an LSD evangelist. He originally saw drugs as an accompaniment to artistic creation. The artist was required to derange his (or her) senses in order to perceive the rawest of emotions and the harshest of truths: drugs were the surest route. His position eventually became similar to Timothy Leary. Every American over the age of 14 of sound mind and body was to take one hit of LSD in order to realise the spiritual wilderness of machine America. He worked hard to demystify drugs. He prescribed LSD to all his friends and acquaintances in a similar way to the Merry Pranksters, passing out hits. Like most of intelligent Hippies and Beats, Ginsberg eventually tried to put his drug experiences in a suitable philosophical and spiritual framework. Ginsberg was drawn to Buddhism, a religion with a totalising perspective. We have talked before about the parallels drawn between the Buddhist and acid experience. This perspective of cosmic consciousness complimented his original artistic and political urge. It makes sense for Ginsberg to celebrate the jazz soloist over the classical musician, the street punk over the lecturer and so forth. He borrows their language (be it the saxophone riff or the babble and slang) in order to elevate them from obscurity. Each individual is a facet of a beautiful (or potentially beautiful) whole. As the footnote to Howl says: Everything is holy! Everybody is holy! It’s this passage (the footnote) that apparently granted Howl a pass in it’s obscenity trial. While this meant Ginsberg was politically no Lenin (was Lenin artistically a Ginsberg? ), he was well placed to participate in the sixties upsurge. He was driven to bring the truth (a tribune of the oppressed) to a shrouded and repressed society, be it the nature of LSD or the nature of the war in Vietnam. He was often exceptionally brave. 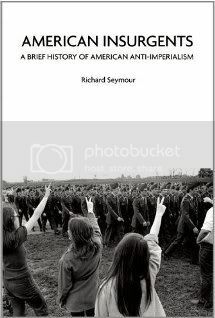 In one particular instance he negotiated with Sonny Barger, the leader of a chapter of the Hell Angels that had attacked an anti-war demonstration, so that further marches could go ahead. He won the respect and support of the chapter through meeting them directly at Barger’s home. A more general example: Ginsberg often travelled to communist ruled countries. He did so on order to promote cold-war solidarity between peoples. In 1968 he was crowned King of the May Day parade in Prague, for example. 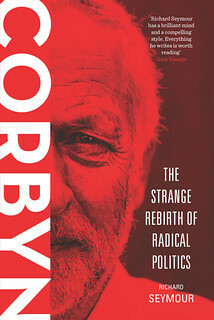 The governments often welcomed him as an American radical with connections to native communism (which could have easily marked him out for persecution in his home country). They usually expelled him pretty quickly for being a troublemaker (as did the Czech government a week later for being an “immoral menace”). Ginsberg frequently harnessed his seemingly boundless energy for his friends benefit. We’ve discussed the encouragement, editing and promotion he gave to Kerouac and Burroughs, gratis. He always carried copies of poems by kindred writers, fighting tirelessly to get them into anthologies. There is a suppressed cry in those books [of Kerouac]: Kill the intellectuals who can talk coherently, kill the people who can sit still for five minutes at a time… The Bohemianism of the 1950s [is] hostile to civilization; it worships primitivism, instinct, energy, blood… This is the revolt of the spiritually underprivileged. The novel is not an imaginary situation of imaginary truths — it is an expression of what one feels. Podhoretz doesn't write prose, he doesn't know how to write prose, and he isn't interested in the technical problems of prose or poetry. His criticism of Jack's spontaneous bop prosody shows that he can't tell the difference between words as rhythm and words as in diction ... The bit about anti-intellectualism is a piece of vanity, we had the same education, went to the same school, you know there are 'Intellectuals' and there are intellectuals. Podhoretz is just out of touch with twentieth-century literature, he's writing for the eighteenth-century mind. We have a personal literature now – Proust, Wolfe, Falkner, Joyce. It was this spirit that recognised Bob Dylan as a kindred artist. It was this spirit that moved Ginsberg to get up and dance to I Want To Hold Your Hand in a New York nightclub, shocking his friends. Ginsberg, like the rest of the Beats, can appear anachronistic these days, but, then, we are supposed to be at the end of history, everything is supposed to be anachronistic. If it was anything the literary output of the Beat Generation was an attempt to escape from a cul-de-sac, the dead end of literary culture and, at the same time, the dead end of late capitalist society. In terms of artistic form the Beat Generation borrowed and used heavily techniques from the new performing arts, popular film and music. In terms of content they tried to put forward examples of a future, liberated society. Modern day Norman Pohoretzes (we all know who they are) might sneer at their utopianism (for example Ginsberg’s attempted respiritualisation of art) and brand them as failures. So long as we remember who The Beats were and why they did what they did they will have been nothing but successful.